'My Last Penny' in the outstretched hand of the artist. Donation or plea? Benefaction or begging? Charity or fast-change trick? A true confession or sham poverty? 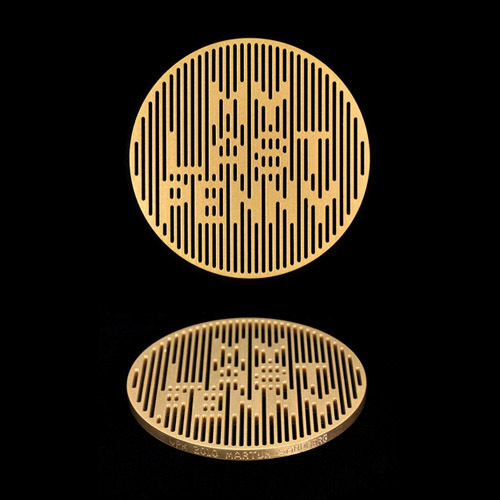 'My Last Penny' (Beggar's Hand), Martijn Sandberg, brass, perforated, size: diameter 62mm, 2010.